It’s spring in Colorado and that means the time has come to tune up the mountain bike, lace up the trail runners and dig out your hiking gear. And cracking a cold one after an afternoon getting after it is practically a requirement for residency in this state. Since this is the season of transition we suggest loading up your cooler with some tasty session IPAs. ey are chock full of avor yet o er a manageable level of alcohol to help ensure you don’t overindulge. Here are four beauties we recommend. Oskar Blues is known for its IPAs, so it only makes sense that thePinner rowback IPA would be packed full of avors that assault your senses the moment you crack a can. Pineapple, mango and berry accents mix with a nice hop bite. Crisp and refreshing, it’s the perfect brew to put in your pack and crack open next to clear running creek. 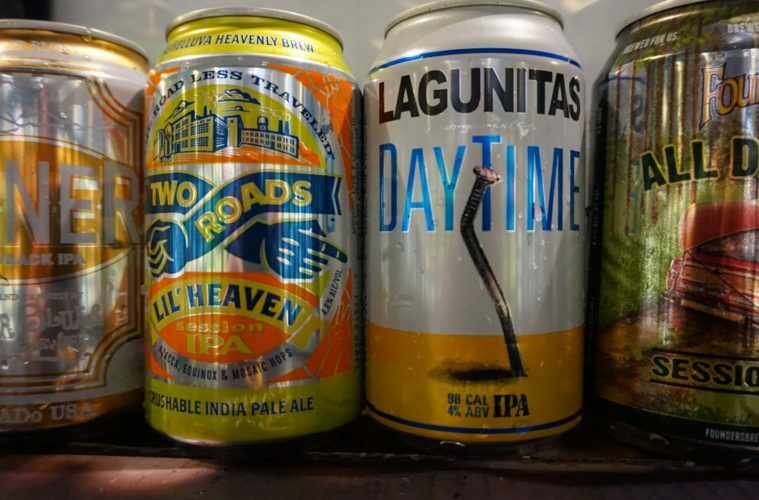 e irreverence that is infused into every single Lagunitas beer is part of its magic: e company even has a beer that mocks the FBI raid on its brewery in 2005! All kidding aside, the Petaluma, California company constantly turns out some fantastic IPAs. Its Day Time IPAis a testament to Lagunitas’ brewing skill. Loaded with avor yet only tipping the scales at only four percent ABV, it will blow your mind. Based in Connecticut, Two Roads Brewing Company knows a little bit about welcoming spring. New England winters are damn cold. Plus the hills are frozen ice tracks. Maybe that’s why its Lil’ Heaven Session IPA tastes so good out in our Colorado sunshine. Packed with tropical avors and a nice hop kick, this is a beer to toss into the cooler for a treat after an afternoon of rock hopping. Lastly, check out Founders Brewing Company’s amazing All Day IPA. e Michigan brewery has been crafting it for years but it only just arrived here in the Mile High State. Perfectly balanced with just the right amount of malts, hops, and grains, it has a piney taste up front that quickly blends with an underlying sweetness. It’s the ideal brew to enjoy after you play hooky from work to hit a next spring storm at Eldora. This content is proudly sponsored by Molly’s Spirits, Colorado’s most beautiful way to shop over 12,000 wines, spirits and beers. Molly’s values are rooted in serving our local community, collaborating with our industry partners and offering our customers the best experience possible. 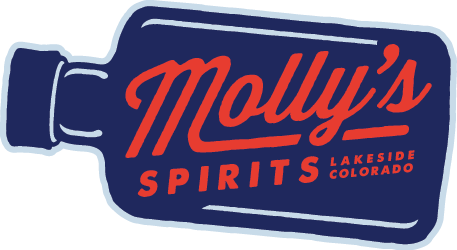 Located right off I-70 and Sheridan in Denver, Molly’s perfect first stop to stock up for all of your mountain adventures. Get directions here or check us out on Instagram here.